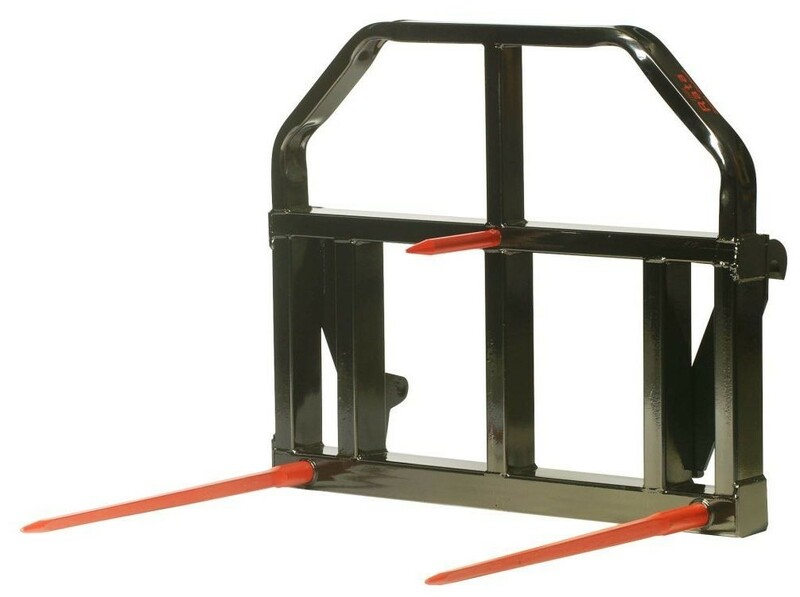 Description: Rata bale forks are suitable for handling any size bale, round or square and come complete with a short removable centre tine for safety. There are four lengths of tines to choose from, 1.2m, 1.1m, .980m, .800mrThe tines are forged spring steel, held in with a conus 2 welded taper bush. 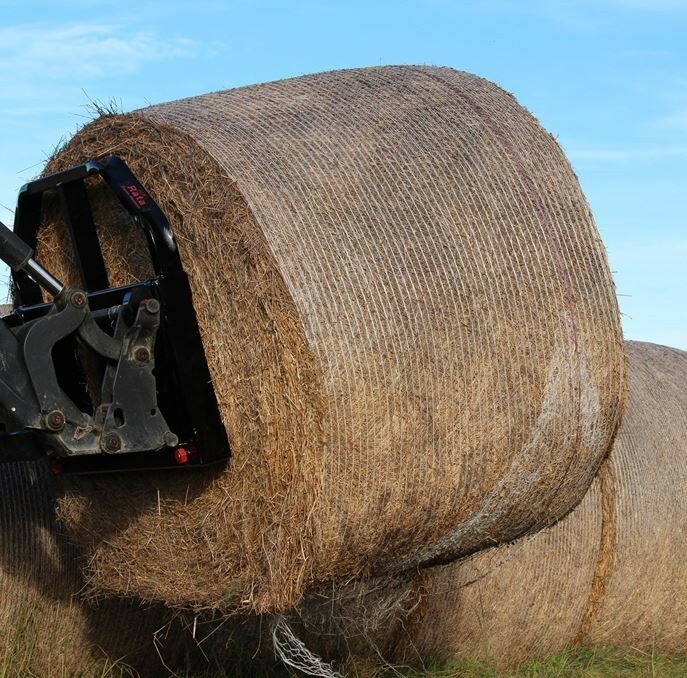 These high strength bale forks can be made to fit almost any loader or material handler, and have the option of an adjustable high back to carry two bales at once.